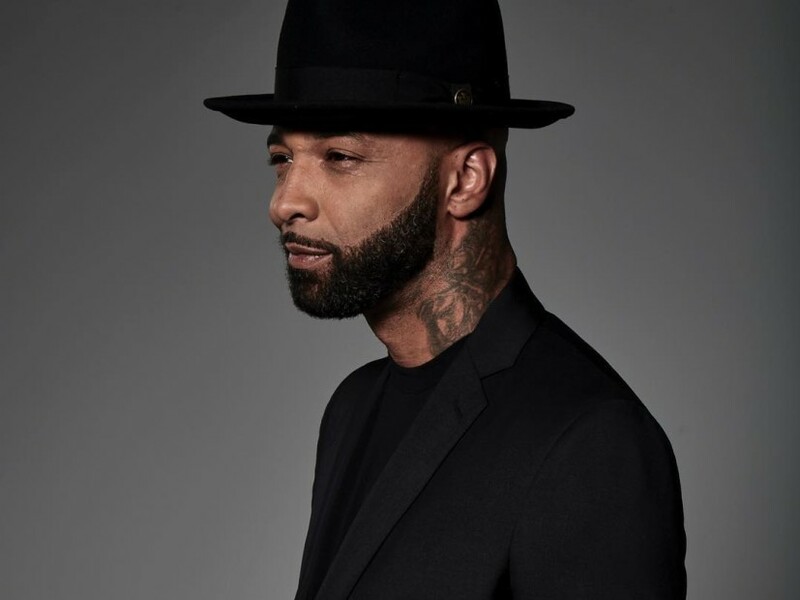 Joe Budden On Responding To Eminem & Why He's NOT The "Howard Stern Of Hip Hop"
After a 15-year rap career that adheres to Webster’s definition of “controversial,” no one expects Joe Budden to embark on his latest ventures with a shred of fear or hesitation. “I’ve seen that tagline for a bunch of years,” an observant Budden tells HipHopDX during a phone interview. After years of being respected for his reality raps, his media flag is now becoming more emboldened in the wake of new deals with Spotify and Diddy’s REVOLT TV. Said broadcasting career was actually years in the making, even if diehard fans and the New Jersey-bred MC, whose biggest solo hit in 2003’s “Pump It Up” all but contradicts the artistic direction he’s employed in a seemingly bottomless discography, didn’t know was happening. During the mid-00s, widely recognized as Hip Hop’s “Blog Era” to many, Budden will become an early adopter to platforms such as Twitter and Ustream, which kept him engaged with fans without necessarily always logging on to promote his music. The end result culminated into guaranteed rent money without a release this past August when he aligned his popular Joe Budden Podcast with Spotify and launched his very own daily Hip Hop talk show State of the Culture alongside Remy Ma, Scottie Beam and Brandon “Jinx” Jenkins. “It does feel surreal,” Budden says of his newfound career path. “Every morning I say that. Every day it feels surreal. I’m extremely proud of it, you know? That went into my decision-making when I made the move. Rap was going into a place where some of our premier artists were put down to a three or four projects a year. Just because they were able to make the moves faster than some of the lyrical acts right. “So, if you wanted to keep up, if it was about how do you double up when your concert, how do you put two and three projects out? When you put your blood, sweat and tears into a verse, you’re not really treating it like fast food. Versus you just speaking on the culture, you can do that every day because you lived this, you loved this and then you’re talking to people that necessarily aren’t a fan of your music at all. Then they want to hear from you way more often than they do for an album release. New #SOTC today at 5pm (digital) @revolttv ✊? Of course, being a proponent of the culture means you’re not always going to be invited over for Thanksgiving dinner. And even though he’s no stranger to conflict, fans and onlookers alike took great interest in Eminem’s swipes towards his former Shady artist on his Kamikaze album. Although the dedicated bars stemmed from Budden’s critiques from Em’s last album Revival, they’re currently relevant for today’s hot topics. But the question is posed: does responding to Eminem ruin Budden’s retirement? “Yeah, no. I don’t think it contradicts my retirement,” Budden replies. “I wouldn’t do it. I wouldn’t do it. I wouldn’t want to dust off the microphone and get in the studio strictly to respond to two bars. I think that would contradict my retirement and all the work that I’ve done up to this point. “I don’t feel like anybody really deserves that. When Joe Budden was ‘relevant’ he just had that passion. Nobody said anything to Joe Budden. “So today, those same rules apply. When I am under attack now because we are not so irrelevant. I have to seek what the motives are to do that. I’m not just going to the studio to give somebody else the benefit of saying ‘Yeah, Joe responded. I’m retired, I mean it. There’s plenty of things to be inspired from as far as Budden’s visibility these days. Catch him on Spotify, REVOLT and once again, VH1, for he and his fiancée Cyn Santana have just announced that they are returning to Love & Hip Hop: New York.